MOSCOW, the Russian Federation, (BulgarianMilitary.com) – A statement of the Defense Ministry of the Russian Federation, reported by the state news agency – TASS, said that yesterday (11 October), the Russian Strategic Nuclear Forces had conducted a massive exercise with multiple missile launches, in order to be tested their capabilities. TASS also states that the yesterday’s drill was under the direct order of President and Supreme Commander-in-Chief Vladimir Putin, learned BulgarianMilitary.com. The exercise itself was based on practical combat actions, performed by the personnel of command-and-control centers of the Russian Strategic Missile Forces along with crews of the nuclear-powered submarines of the Northern and Pacific Fleets. The drill was held yesterday, at the bases in the Barents and Okhotsk Seas, where the Russian Navy’s nuclear submarines and long-range aircraft, from the airfields of Engels, Ukrainka and Shaikovka, were involved in the missions to test the force’s readiness. The nation’s submarines used in the exercise, performed tasks to live-fire ballistic missiles (SLBMs), along with the long-range bombers, Tu-95MS, Tu-22M3 and Tu-160, which fired a range of missiles and munitions as well as nuclear-capable cruise missiles. For this purpose had been designated four different targets on the territories of Russia and Kazakhstan, in particular they were at the Kura, Chizha, Pemboy and Terekta, where the nuclear-capable ballistic and cruise missiles had hit. The Defense Ministry announcement reports that all of the launched missiles had hit their designated targets. 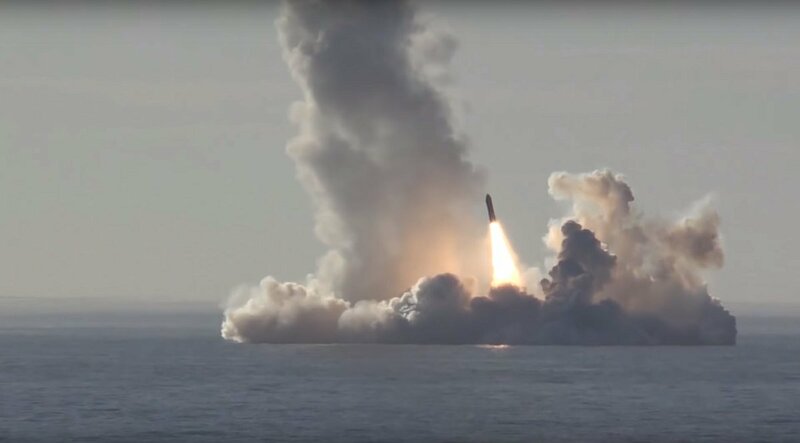 It also adds that in the exercise, the Russia’s unified missile early warning system and ground-based radar stations successfully had detected all the launches of ballistic missiles from submarines and had transmitted the data to command posts. According to the Russia’s Defense Ministry the training provided an opportunity to be tested the chain of command from its main control room to its military units.